According to the National Institute of Dental and Craniofacial Research, tooth decay is the most prevalent and preventable chronic disease in children and adults today. 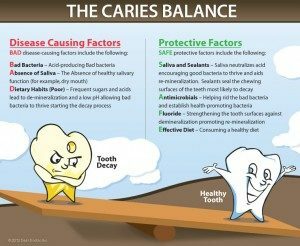 Tooth decay is typically symptomless until there’s already a cavity or a tooth abscess (an infection at the root of a tooth or in the gums), both of which can lead to pain and tooth loss if left untreated. That’s why at Park West Dental , we make prevention of tooth decay your dental plan’s primary focus. Gray, brown, or black spots on your teeth. Successful preventive care requires good oral hygiene practices at home and routine visits to the dentists. At Park West Dental , our Idaho Falls, ID dentists, Drs. Drake and Jacobson, understand that finding a dentist you have confidence in is key to maintaining a healthy smile, so we put extra effort and time into forming a long-term, trust-based relationship with all of our patients. Filling: The decay is removed and Drs. Drake and Jacobson fill the hole with one of several materials, based on your preference, returning it to its natural form. Root canal: If infection has reached the pulp of your tooth, Drs. Drake and Jacobson will remove the infected area and replace damaged or missing parts of the affected tooth with a crown. Call 208.932.4607 to find out more about tooth decay and prevention or to schedule your routine exam with our Idaho Falls, ID dental office today.